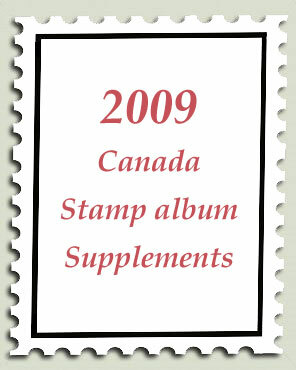 Yes, the new 2009 CWS supplements have arrived at Arpin Philately! Pass the colder winter evenings organizing your Canadian stamp album with these handy stamp album supplements. Effective immediately, you can order your 2009 Unity-English, Dominion-English, Parliament, and Tradition/Constitution supplements. Also, Uni-French and Dominion-French. With a price range of $8.50-$27.50, there’s something for every budget!! Hey Lisa! Any sign of the 2009 Phoenix album refills yet? The CWS world supplement for 2009 will probably be available in May or June 2010. This is the one you need for your Phoenix album.